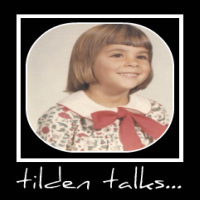 tilden talks...: Miracle-Gro Expand 'n Gro - The Way to Go for Spectacular Results! Miracle-Gro Expand 'n Gro - The Way to Go for Spectacular Results! This post brought to you by Scotts®. All opinions are 100% mine. Gardeners, you're in for a treat! Miracle-Gro has a new product designed to make growing flowers and vegetables easier and more productive. I'm here to introduce to you Expand ‘n Gro™. Concentrated Planting Mix. The super benefits of Expand 'n Gro are moisture control and bulk density. This means we can water and feed less and still produce bright, beautiful blossoms and a great vegetable yield. Coir fibers in the planting mix help retain water by releasing it as the plant needs it and prevents too little or too much water to the roots of the plants. Plants don't like wet feet, and they like to breathe, so air circulation is critical to your plants health. Mixing Expand 'n Gro into your garden soil will reduce soil density and create a whole lot more air space for your plant to breathe. Expand 'n Gro will significantly enhance your soil by creating supreme water holding properties, better distribution of water, great drainage and a much better rooting environment. Let's get down and dirty here. This is a simple way to prepare your soil for your spring and summer gardens. Plants want light, air, water and food. Good soil is the only way to ensure a plant gets the nutrients and air flow they need. Without good drainage, a plant can drown. Traditional soil amendments are good, but that doesn't solve the air flow, drainage or feed requirements. Expand 'n Gro has it all! Check out this video to see it in action. Your native soil may be sandy, hard clay or simply worn out from planting year after year. Improving and maintaining good quality soil is hard and may only last one year. It can be costly to repeat the process of amending your soil each year. Expand 'n Gro has then natural ingredient of coir, a lightweight fiber derived from coconut husks. It's spongy and expands when you add water. Coir also decomposes slowly, being beneficial for years to come. Used in the ground or in your containers, Expand 'n Gro is the way to healthy, lush, beautiful flowers and gorgeous, tasty vegetables this season! Miracle-Gro is going to send me a sample of Expand 'n Gro to give away! Throw me a comment and let me know what you plan to plant and maybe you could be the lucky winner of the sample! Winner will chosen at random, I'll draw a name from a hat. Check back to see who won! Depending on the size of the sample I would either grow Big Boy tomatoes or grape tomatoes. The never ending issue though is that the boxes, no matter how many holes I make, get water logged. Perhaps this could be worth looking into. after 10 years of working in the greenhouses, propigating and growing plants, i finally learned something. stuff can dry out a bit before i water it again. the first year, i think i killed a whole greenhouse of plants by overwatering. and at home with my own window boxes which are wood, i had the same problem you have, too wet. so now i wait until i see signs of wilt or can feel dry-ish soil. stuff needs to dry out a little before you water it again. but i have to say, it is really hard to not water plants when i think they need water. but no i wait until the pant tells me to give it a drink. i'm going to give expand 'n grow a whirl myself. i think it will produce great results. I should try this stuff, maybe my plants will do better? At my cubical at work I have an IKEA 'elephant foot' plant, everyone asks how it got so big. Key was minimal watering, guy next to me had one that died on him from too much water, he would literally would take it to the sink and water it from there. Seaon 2 Finale - The Walking Dead..
Did Shane turn into a ZOMBIE? Zenni Optical - Buy 2 - Get One Free!